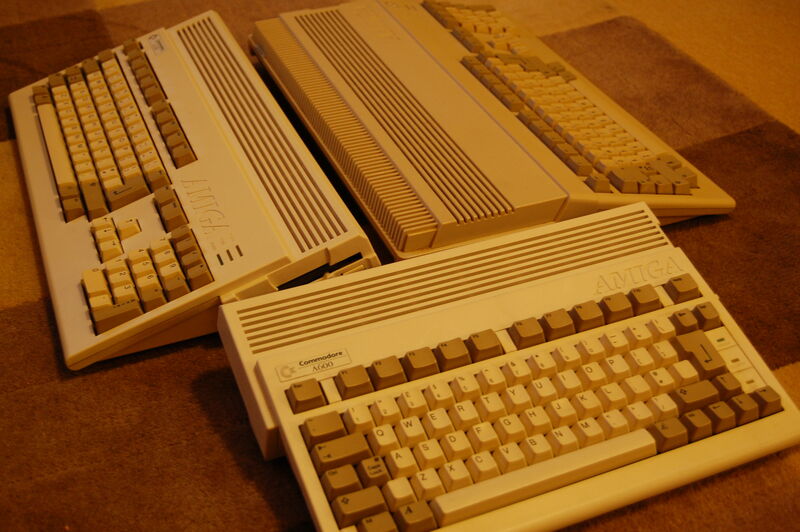 This entry was posted in computing, gaming, old, retro and tagged a1200, a500, a600, amiga, commodore, computing, retro. Bookmark the permalink. I really wasn’t a great fan of the A600 originally despite it looking similar-ish to my fav compact CBM Plus/4. Kinda looks really cool now and have been thinking about getting one myself these past few months. Do you know if the A600 has the Harddrive header or is this it only on the A600HD? I think this is a standard A600, no HD. I’ve just booted it up and not had much of a play around yet. Nice to see the three machines together. The Amiga 600 has an IDE-port for connecting a hard drive or a CF-adapter. Nice picture, never did have a 600 but always liked the compact design. My 500 has had it, it’s seriously yellow and no longer works. I’d love to have a really nice clean example, I shall have to keep an eye out for one. Still have an A590 somewhere though I’d be surprised if that was still working. Would be nice to check and see if the A590 is still working!